The Santo Niño ore body at Pinos Altos Mine has been in production since 2009 using both open pit and underground mining methods. Between 2015 and 2017, an extensive study evaluated extraction strategy of the Santo Niño crown pillar. The Agnico Eagle project team evaluated geomechanical, operational, safety and economical risks before developing a comprehensive plan to extract the Santo Niño crown pillar by underground stoping. 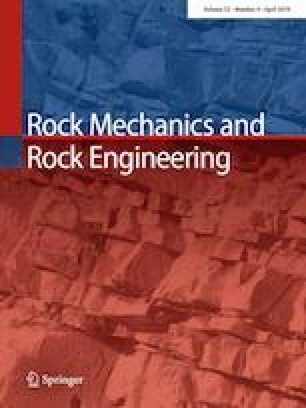 The geomechanical aspects of that study focused on interpreting in situ rock mass conditions and understanding the mechanical and hydrological/hydrogeological mechanisms influencing ground reaction during open pit and underground mine operations to make meaningful forward predictions for crown pillar extraction. Numerical modeling played a significant role in making forward predictions. To minimize uncertainty in those predictions, the model parameters were calibrated using measured pit slope deformations, back analysis of historical slope instabilities and underground observations of rock mass conditions. Ultimately, it was decided that long-hole stoping would be utilized for crown pillar extraction. The pit floor would be used as a drilling horizon, and the upper most level of the underground operations served as the mucking horizon. Various safety and operational risk mitigation strategies were developed and implemented; this included geomechanical monitoring using the in-pit radar system and numerous borehole extensometers installed underground to monitor ground deformations. The calibrated numerical model results provided valuable input for the design of the instrumentation program, and once the crown pillar came into production in late 2017, the instrumentation provided valuable data for model verification and stope design adjustments. Crown pillar extraction at Pinos Altos Mine—geomechanical aspects of risk evaluation, design and implementation. We would like to thank the Pinos Altos engineering and ground control teams as well as the pit and underground production teams and the health and safety department for their support and dedication to excellence and safety throughout the crown pillar recovery project. We also express our gratitude to Pinos Altos and Agnico Eagle Mexico management for their support and permission to publish this paper. Thank you for the paper reviews.